The Planning and Zoning Commission is responsible for the planning and zoning activities of the City. The voting members of the Commission shall be appointed by the Mayor with the approval of the Council for a term of three (3) years, which term shall be extended until a successor is appointed and qualified to serve on such Commission. The Commission shall elect a chairman from among its official members and such other officers as it may deem necessary. Appointees shall serve without compensation. A vacancy in an unexpired term shall be filled by the Mayor with the approval of the Council for the remainder of the term. The Commission shall adopt rules for the practical and efficient transaction of business and shall keep a record of its transactions, findings, and determinations, which record shall be a public record. Meetings shall be held upon the call of the Chairman. Recommend to the Council approval or disapproval of proposed changes in the zoning districts and/or ordinance. Approve or disapprove the platting or subdividing of land within the corporate limits of the City and within adjacent areas as permitted by law. 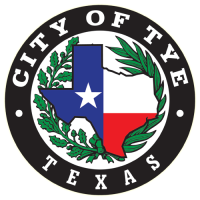 Submit annually to the City Council, not less than ninety (90) days prior to the beginning of the budget year, a list of recommended capital improvements, if any, which in the opinion of the Commission, are necessary or desirable during the forthcoming five-year period. Recommend to the Council approval or disapproval of plans for slum clearance, public housing, housing rehabilitation, and urban redevelopment projects. Perform such additional duties as the Council shall prescribe that relate to municipal planning. When meetings are called by the Chairman or when there is business at hand, the meeting agenda will be posted on the Public Notices page.